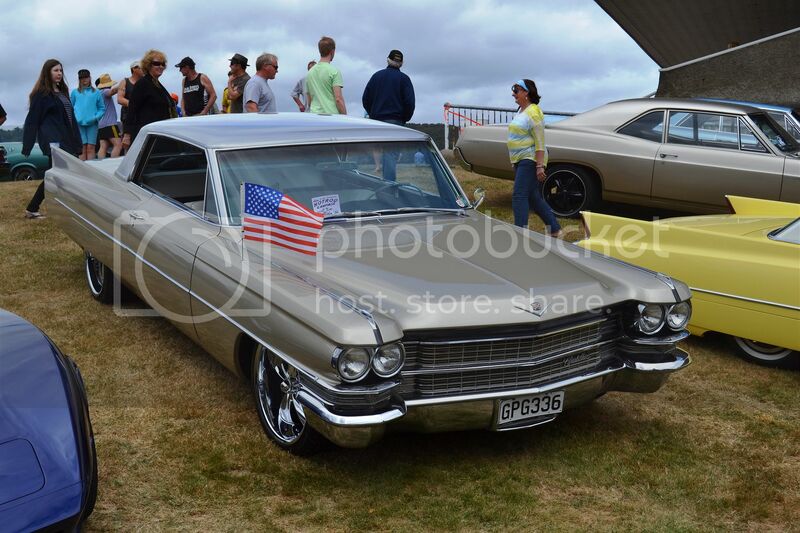 A selection of the GM products at the American Car Day last weekend. 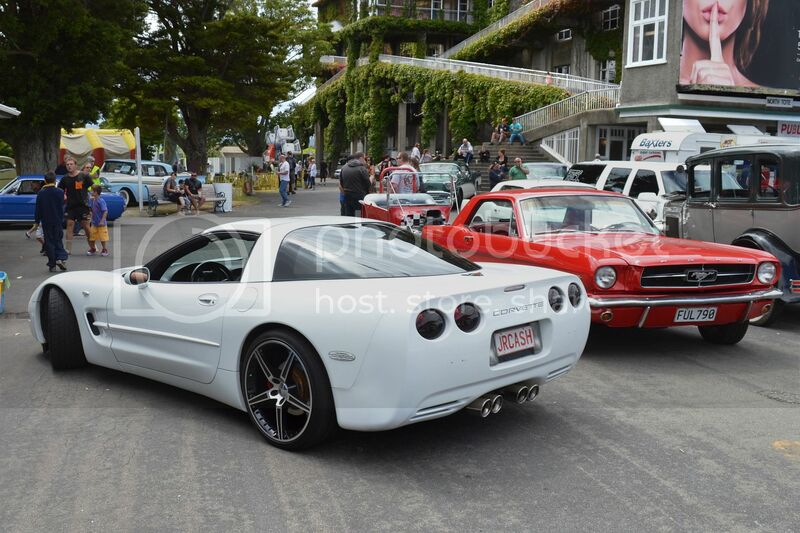 '97 Chev Corvette makes its way past a '65 Mustang "Notchback". 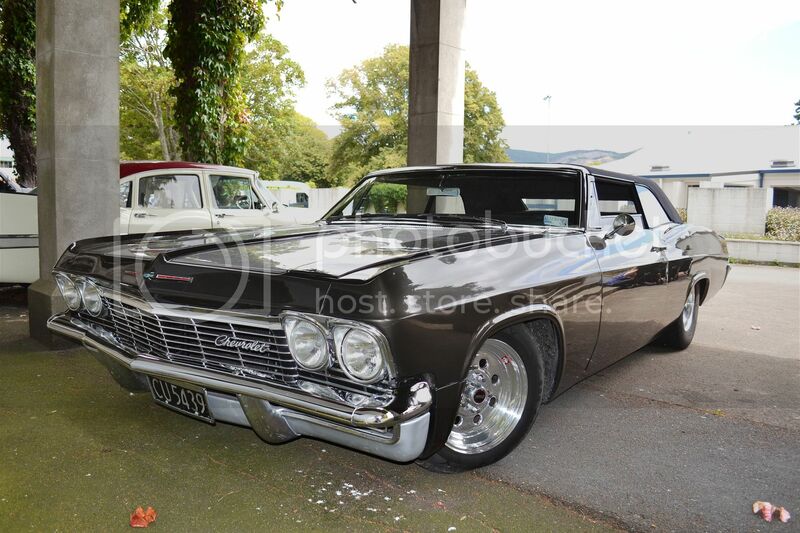 This '65 Chev Impala has had a top chop on its convertible hood. Sorry, I guess that isn't a hood on an American car. 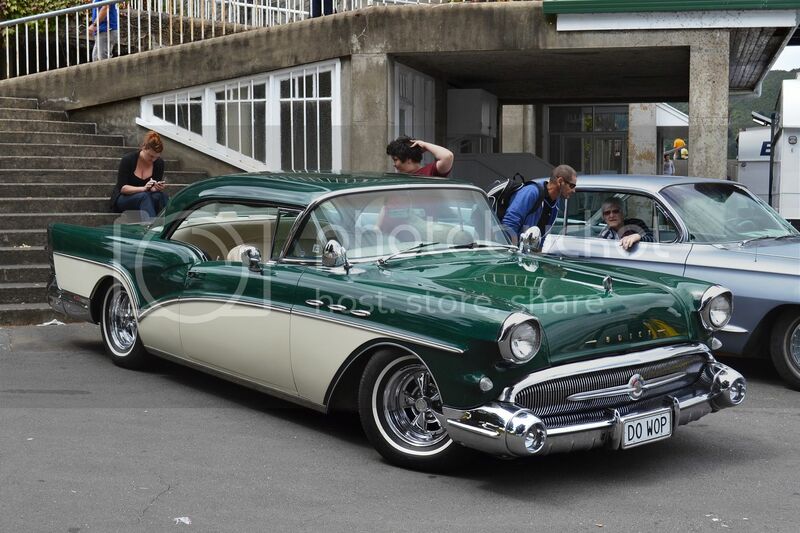 Buick Riviera Special from 1957 had a strong metallic fleck in that green paint. 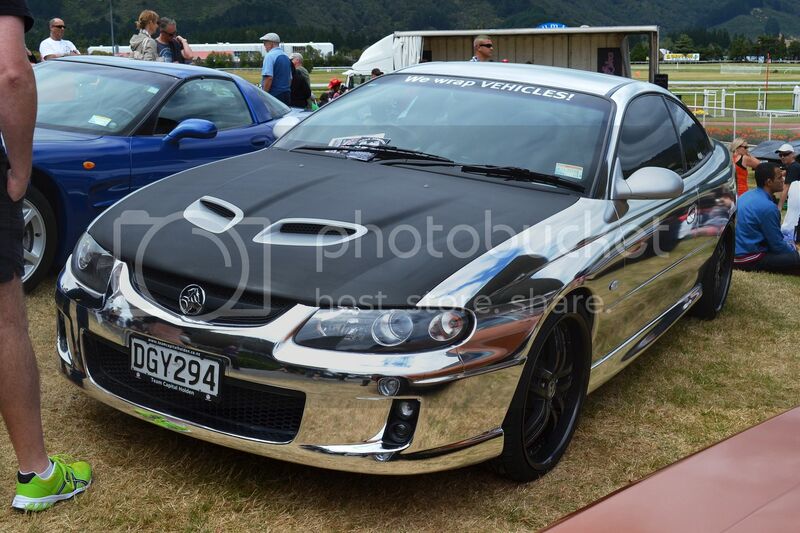 OK I know it isn't American, but this Holden Monaro was there to demonstrate what can be done with body wrap. Bonnet had to be black to stop the glare. 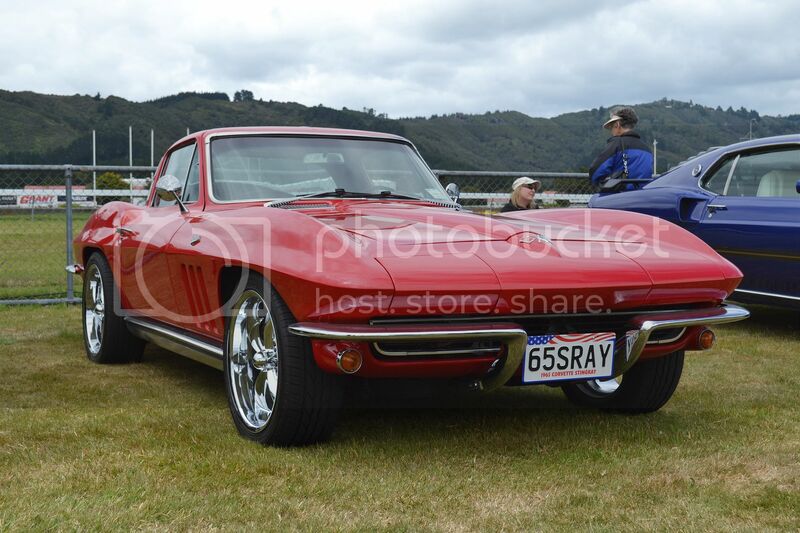 Many cars don't quite look right on modern low profile tyres, but somehow this "65 Corvette looked smart. However, in my opinion, the wheels on this '63 Cadillac Coupe de Ville looked ghastly. 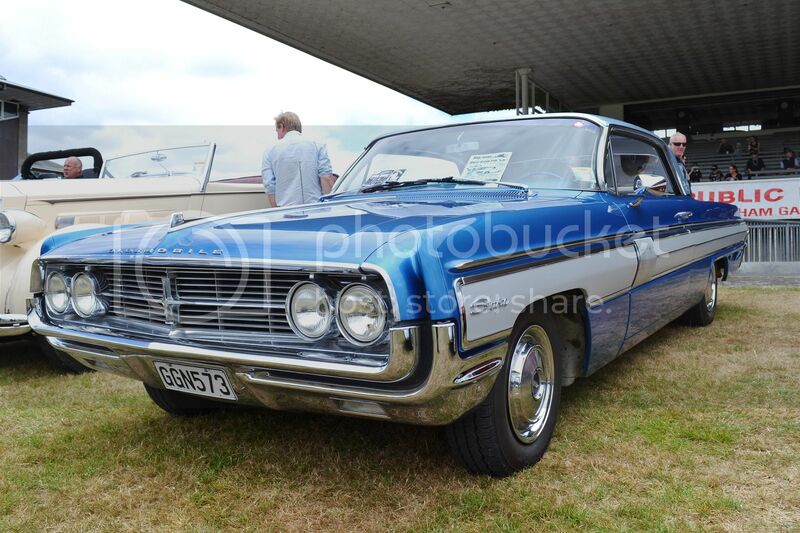 This, I assume, is a stock standard Oldsmobile Starfire of 1962 vintage. 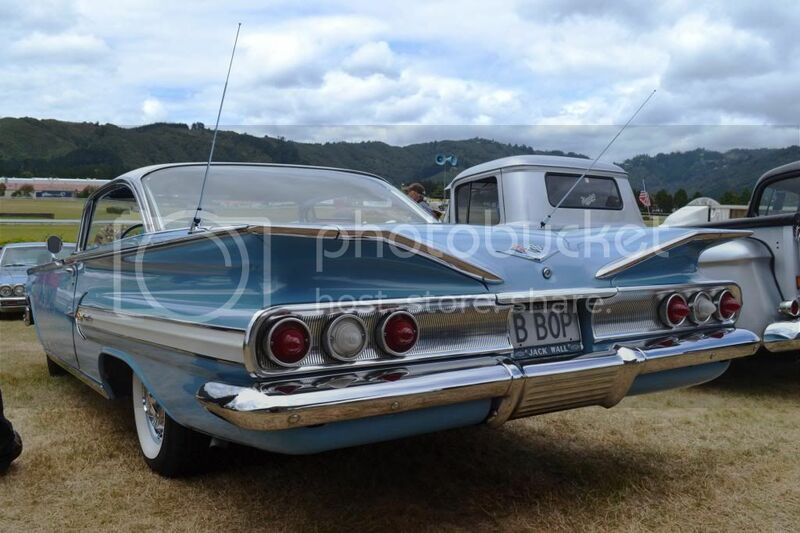 The spreading wings of a 1960 Chev Impala. 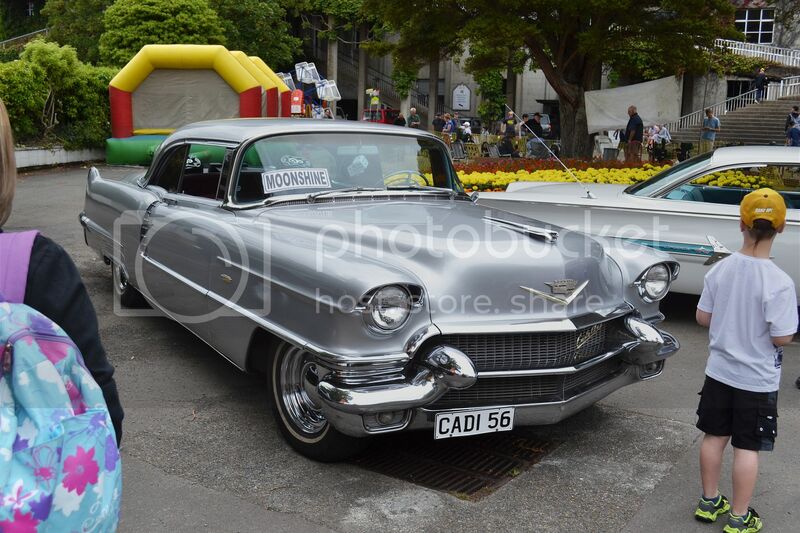 Another Cadillac Coupe de Ville. 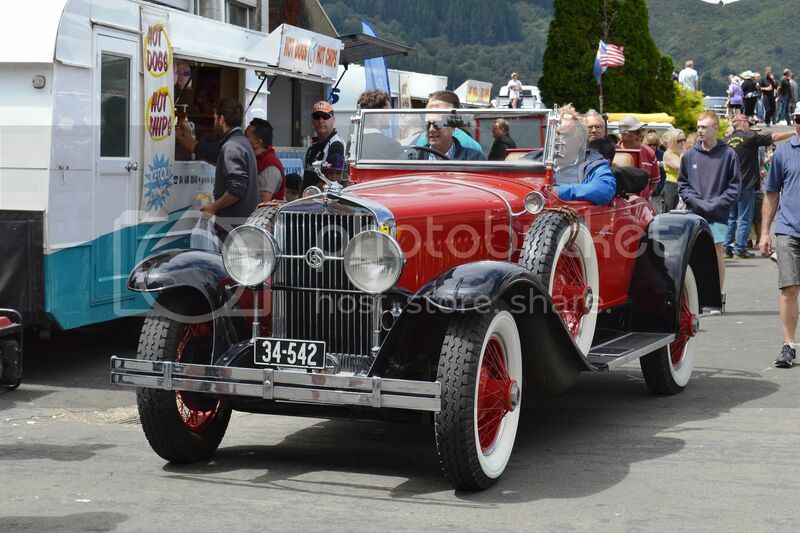 Of 1927 manufacture, a beautiful La Salle from GM's Cadillac division.